Gobbledygeek episode 185, “Live from Alabama Phoenix Festival 2014,” is available for listening or download right here, and on iTunes here. Hello, Birmingham! Live from the Alabama Phoenix Festival, it’s Gobbledygeek! Paul and AJ returned to APF 2014 to host a series of panels about everything from summer movies to Orphan Black, and while they were there, they thought it’d be neat to record a live podcast. Joining them in the hot seat is Gobbledy-stalwart Kenn Edwards; in the audience, frequent guests/loved ones/freaks of nature Eric Sipple, Joseph Lewis, and Pam Smith. 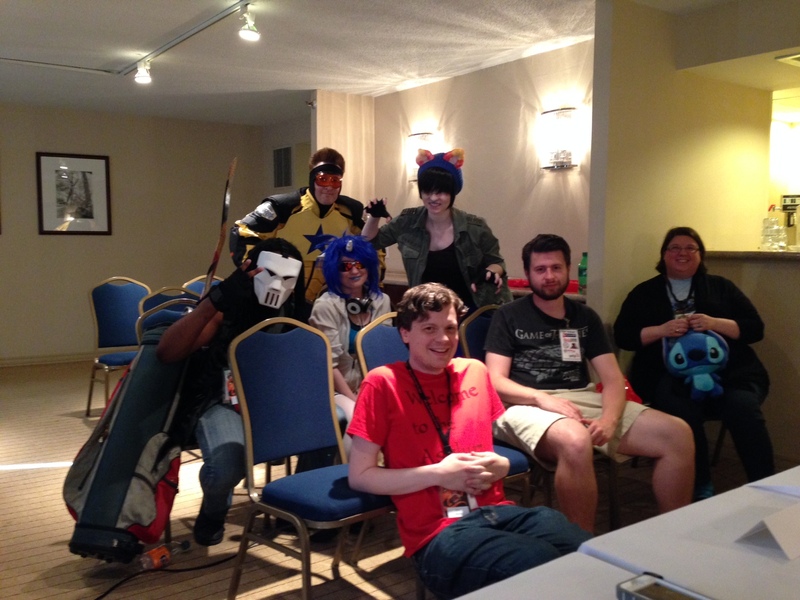 The gang talks to the crowd–including a man dressed as Casey Jones and two teenaged Bronies–about how the con’s going, why they enjoy the sense of community it provides, and that awful-looking Ninja Turtles movie. Next: Paul and AJ return to their boring, excitement-free home lives to discuss the original Japanese Godzilla. And I guess they’ll mention the new one too. This entry was posted in Shameless Self-Promotion and tagged alabama phoenix festival, alabama phoenix festival 2014, casey jones, eric sipple, gobbledygeek, itunes, joseph lewis, kenn edwards, libsyn, my little pony, my little pony friendship is magic, orphan black, pam smith, podcast, teenage mutant ninja turtles, television, tv. Bookmark the permalink.